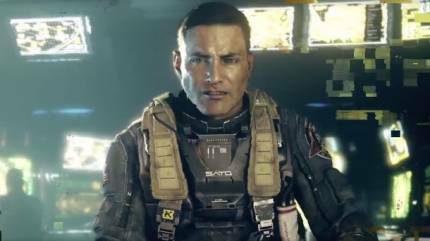 In a new look at Call of Duty: Infinite Warfare, we had a chance to see the perils of space up close. While the demo was entirely hands-off, we got a solid look at a mission that takes Captain Reyes and his team to an asteroid mining base that has gone off course, headed straight into the sun. The rapidly spinning rock has thrown off the day-night cycle, which poses a hazard for the team. Direct rays from the sun heat the surface to 900 degrees, meaning rapid death for any soldier caught outside. This leads to some tense moments of dashing between buildings. We didn't get to see much combat, but the sqaud runs afoul of some mechanical enemies as it continues to search for survivors. The latest trailer for Ron GIlbert's throwback point-and-click and adventure game is both explosive and sickening. To see the trailer, head here. 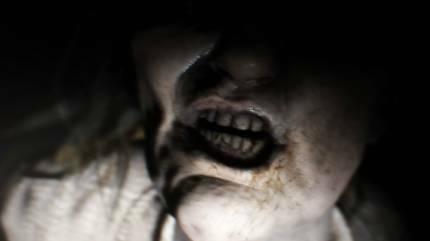 It introduces new character Delores and also serves a bit of a prologue for the game. The game follows the investigation of a murder in a strange town and is inspired by shows like True Detective, Twin Peaks, and The X-Files. It also has a clown in it. 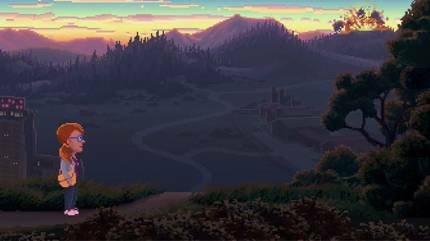 For more on Thimbleweed park, specifically its creator Ron Gilbert, head here for a recent interview with him on our podcast. 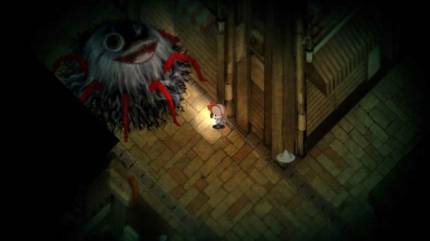 We recently got some hands-on time to explore survival horror title Yomawari: Night Alone, a game which plays off of the elusiveness of childhood innocence in a world that is full of constant horror. After you lose your dog Poro while our for an evening walk, your elder sister goes out in search for him, but soon gets lost herself, and it's up to you to find them again. By venturing out into the dark, you stumble across monstrous yo-kai of various designs that all move and act differently. 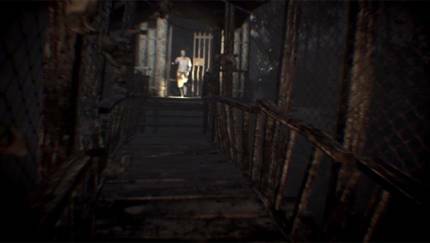 Once noticed, they begin to attack you and a heartbeat sensor across the bottom of the screen indicates your ability to run away. The more frightened you are, the slower you will run. The best tactic to evade them is to observe their movement patterns, and attempt to quickly slip by unnoticed. 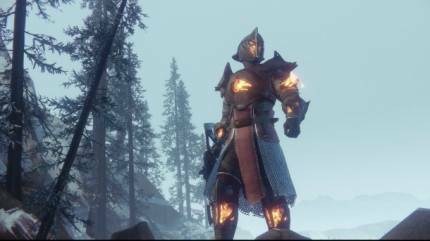 Bungie has debuted a series of new screenshots of Destiny's upcoming expansion, Rise of Iron, for Gamescom. You can peek some of the best ones right here as well as in the gallery below. Here's one of a cranky looking Fallen staring at some Guardians, probably wishing he had their cool gear. 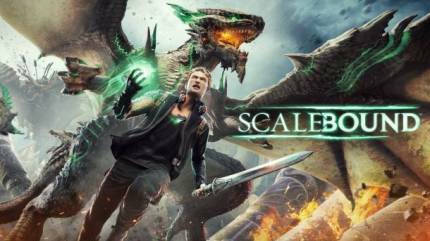 First announced at E3 2014, Scalebound is a different kind of experience for Platinum Games, a developer that normally focuses on fast-paced action games, such as Bayonetta. With this RPG's mix of fantasy and modernity, it caught the attention of several fans, though one question has been unanswered until now: How does your dragon complement the gameplay, and what is its role? At Gamescom, creative producer J.P. Kellams and Platinum Games' Hideki Kamiya pulled back the curtain and told us what we can expect from dragons in Scalebound. Scalebound follows the headphone-wearing teenager Drew and his dragon Thuban, and what Platinum Games unveiled today is that you can directly control the dragon in battle. When you aren't in control of him, he is under the A.I. 's direction. Because of the strong bond between Drew and his dragon, the two can merge their consciousness through Dragon Link, which allows Drew to direct Thuban in combat. When this is activated, the camera switches to Drew's over-the-shoulder perspective, and he is unable to move while he directs Thuban. Because of the resulting immobility, this function should be used strategically, so that you don't end up finding yourself in a vulnerable position. 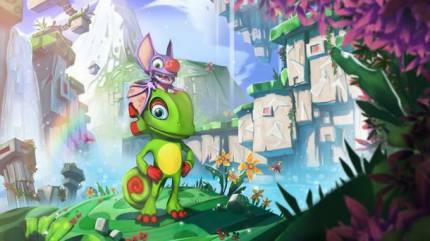 Playtonic recently released a sample of Yooka-Laylee called Yooka-Laylee's Toybox that you can watch us check out here. 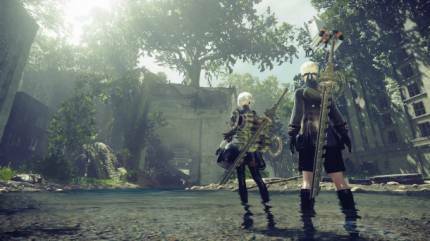 Square Enix has announced that post-apocalyptic RPG Nier: Automata will be launching on PC through Steam as well as the originally planned PlayStation 4 launch. Nier: Automata is the follow up to 2010 title Nier, and tells the story of androids 2B, 9S, and A2 as they fight to reclaim a world currently over-run by machines. Some recorded gameplay of the title surfaced back in April during a Square Enix event, and we even got some hands-on time the game and developer Platinum Games during E3 2016. Although there's no specific release date for Nier: Automata, Square Enix says PlayStation 4 and now PC users can expect its arrival sometime in early 2017. And you can check out our Test Chamber of the playable trailer, Beginning Hour, here. Konami has announced a pair of partnerships with top-flight clubs Liverpool and Borussia Dortmund, as well as a date for the upcoming title's demo. Liverpool fans will also get to hear the club's anthem, "You'll Never Walk Alone" in the title, as well as play as some Liverpool legends in myClub mode.